Who would NOT love surprises?! Mdm Cheapo says the more the merrier!! !The black box is somethign like a beauty box filled with goodies and surprises. Only that it is even BeTTer because it is FREE! "Like" & "Share" them to claim a free Travel size Souffle Marin Energizing Oxygenating Serum worth $19. 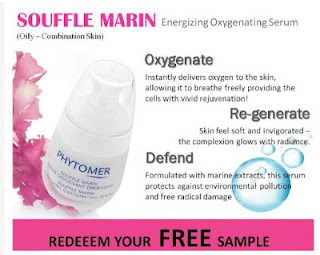 AND if you tag 10 friends they will better the deal and throw in an Hydrasea Ultra-Moisturizing Polarized Serum worth $26! 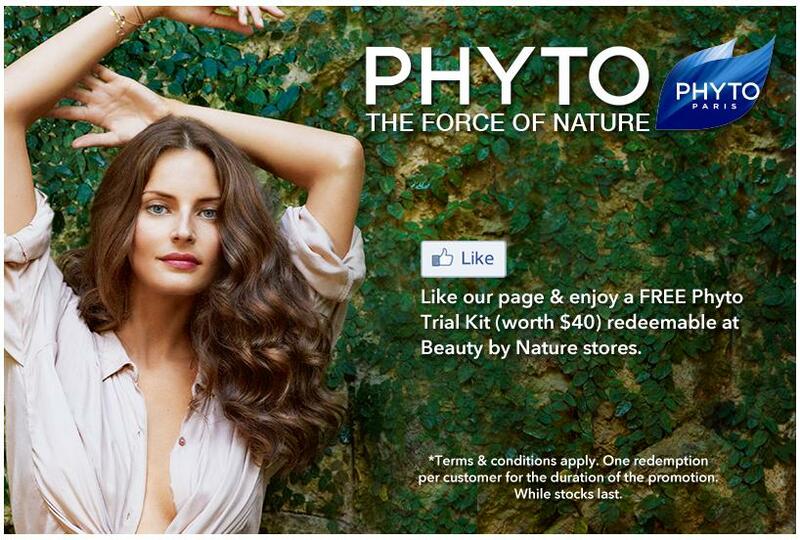 Like "Them" and claim a free Phyto Trial kit worth $40. So cute! 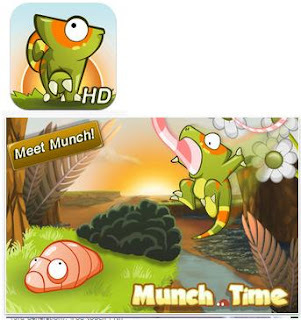 Great one for kids! 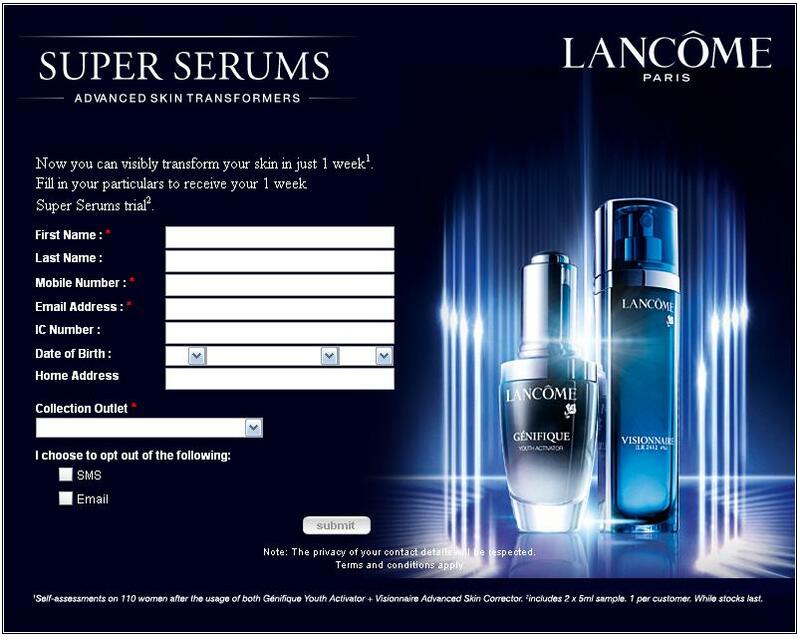 Register and receive an sms for the redemption at any Lancome counter for 2 x 5 ml sample of Genifique Youth Activator + Visionnaire Advance Skin Corrector aka "Super Serum Trial"
Wah~ the graphics look so nice... and it was $6.49. How NoT to download?! Requirements: Compatible with iPhone 3GS, iPhone 4, iPhone 4S, iPhone 5, iPod touch (3rd generation), iPod touch (4th generation), iPod touch (5th generation) and iPad. Requires iOS 3.2 or later. 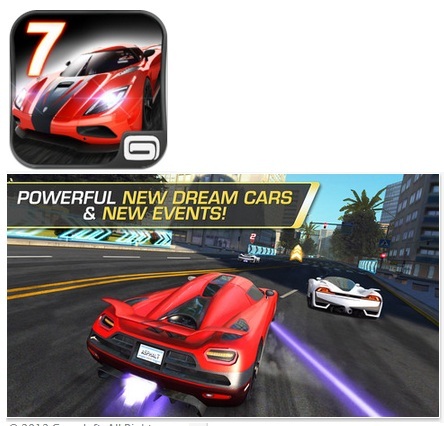 If you had Asphalt 6: Adrenaline for free the other time, how can you miss out on Asphalt 7?! That would be so wrong! Race on People! Free Voucher: SAFRA Membership + $80 Vouchers! Wah~ Serve the nation and get $80 vouchers + 1 year SAFRA membership! Or select $40 + 2 years SAFRA membership! Ah Lau ah, quick sign up! He can go swimming, gym and exercise at SAFRA while I "exercise" with the shopping vouchers! 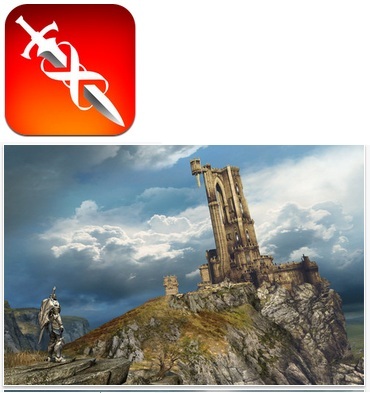 Lots of places that you can use the vouchers at, not only just at SAFRA. 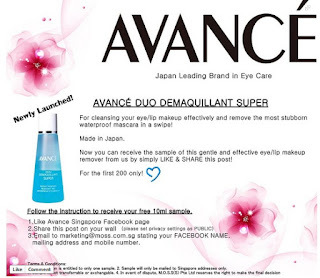 Free Avance Eye/Lip Makeup Remover from Japan! Like & Share them then send an an email with your details. Now at 157 likes 43 up for grabs! Grab it! 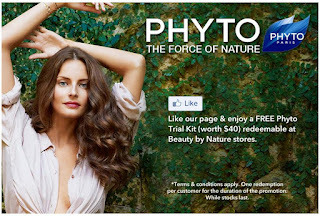 Mdm Cheapo loves new products that gives free samples and LOVEs even more > New Radio Station that gives Free Stuff! New Radio Station Kiss92 gives free car decal, red packets AND the first 80 vehicles will get an amazing Plantronics M25 Bluetooth Headset worth $79! 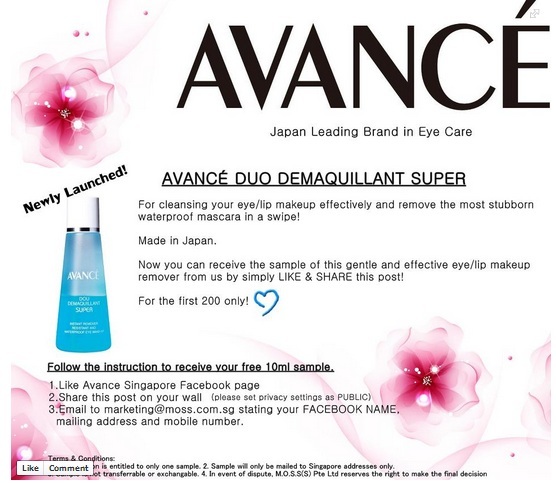 Sample Worth: wah~ $79 if you are the first 80!